The Enforcement Directorate on Wednesday continued raids for the seventh day as it visited 17 locations across the country, including four shell companies in Mumbai, even as the Income Tax department attached assets worth Rs 145 crore in the alleged Rs 11,400-crore Punjab National Bank fraud. 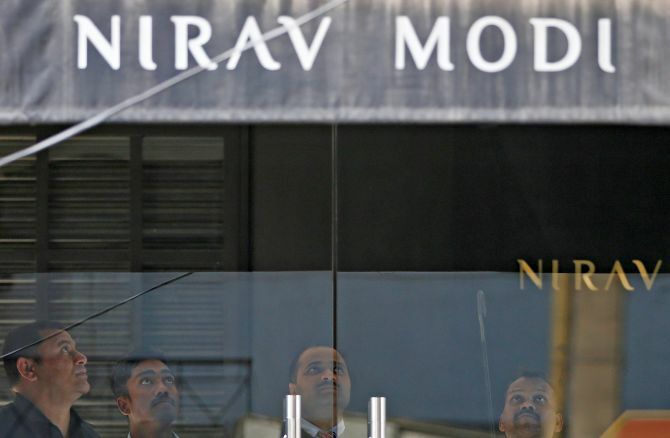 While the ED seized assets worth Rs 10 crore on Wednesday, the tax department said it has attached a total of 141 bank accounts and fixed deposits worth Rs 145.74 crore of the Nirav Modi group. The department said it has attached these assets to realise outstanding tax demands. 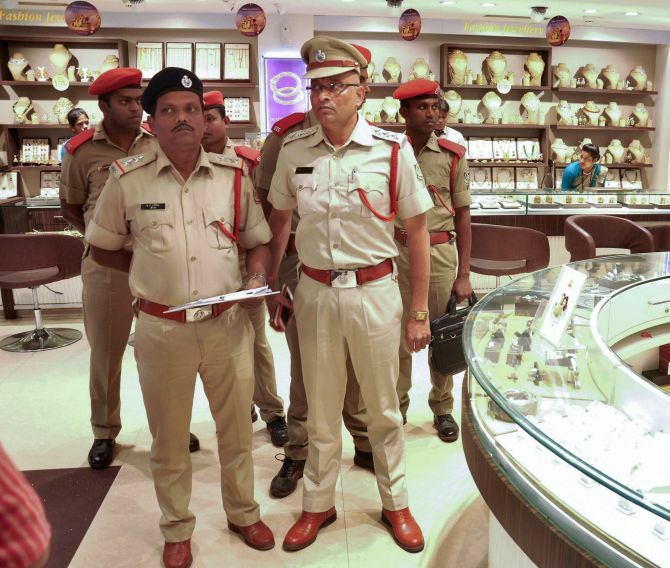 With Wednesday’s seizure, the total value of gems and gold jewellery seized by the ED stands at Rs 5,736 crore. The agency has said it is carrying out an “independent valuation” of these seized assets. ED sleuths on Wednesday stepped up their action against the suspected shell or bogus firms linked to the operations of billionaire diamond jewellery designer Nirav Modi, his uncle and Gitanjali Gems promoter Mehul Choksi and others. Multiple teams of the agency raided four locations of such firms in the Opera House, Peddar road, Goregaon (East) and Powai areas of the Maharashtra capital, they said. 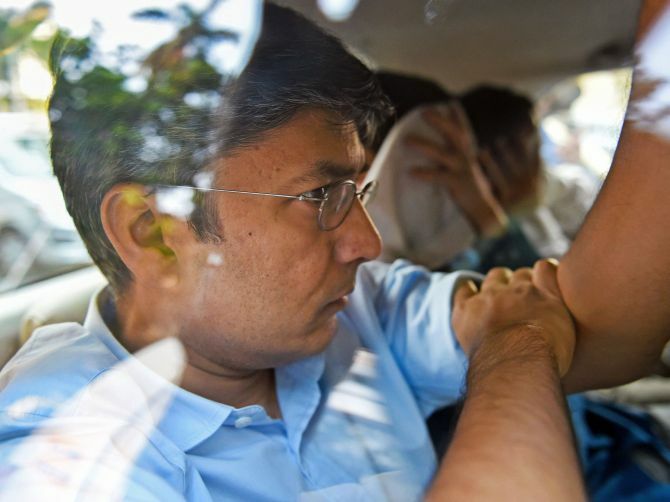 “Assets worth Rs 10 crore were seized in the operations today,” a senior ED official said, adding the agency is probing about 120 shell firms of the duo and their companies. The Income Tax Department, which is also probing these instances, had on Tuesday launched action against the shell firms that are reported to have been used by the accused to allegedly launder huge money and evade taxes. The ED has also summoned Modi and Choksi to appear before it this week at its Mumbai zonal office. The agency has not heard from the duo so far. The agency will also seek information from foreign countries about the business operations of the firms and accounts linked to Modi and Choksi. It is also expected to attach about three dozen properties in this case under the provisions of the Prevention of Money Laundering Act in the coming days. ED sources had said that the agency is talking to senior PNB officials and recording their versions to ascertain how Letters of Understanding are issued and other bank operations done. It has also obtained information from a whistleblower in this case who had said he had raised red flags against Choksi’s loan in 2013. All four people accused of cheating the Punjab National bank to the tune of Rs 11, 400 crores were sent to police custody on Wednesday. A special Central Bureau of Investigation court sent all the four, including celebrity jewellery designer Nirav Modi’s Firestar Diamond President Vipul Ambani, to custody till March 5. “We are looking at securing the proceeds of crime. The ED will probe how much illicit wealth was created by the accused in the alleged fraud,” a senior official had said recently. It has also sought PNB’s audit reports since 2011 from the RBI. The sources said the ED was looking at collecting all financial documents -- personal and official -- of Modi, Choksi and their businesses to take the probe forward. The ED and the Income Tax department have zeroed in on the dummy or shell companies in India and abroad that were being used to route or receive funds as part of the alleged fraud. The 1.5 acre farm house in the uber rich neighbourhood at a stone’s throw distance from Arabian sea was purchased by Modi in 2004 for Rs 32 crore for hosting special parties for his clientele to show case his precious jewellery collection, they said. The area has imposing farmhouses of the crème de la crème of cinema and the business world. The “haut diamantaire’s” expansive farm house, located about 100 km by road from Mumbai in Raigad district also has a 12,000 sq ft bungalow with five bedrooms, a large swimming pool, a movie theatre and a library, they said. The agency had detected the property by analysing the documents recovered by it and had started searches on Tuesday. The CBI on Wednesday sealed it till further notice.